BED BUG Service for Bed bugs…We can help! Talk to the Local Experts! The Bed bug is making a comeback. People now travel more than ever before, and bed bugs are hitching rides on clothing and luggage. They can now be found everywhere from homeless shelters to five-star hotels to single family dwellings to public transportation. They are moved from room to room on infested objects. Anyone can get an infestation of bedbugs and this does not mean a lack of cleanliness. Adult bed bugs are about the same size and shape as an apple seed. They have an oval, broad, flat body and a short, broad head. Bed bugs cannot easily climb metal or polished surfaces and cannot fly or jump. Unfed adults are around 6 to 10 mm long, brown and wingless. After feeding, they swell slightly in size and darken to a blood-red colour. The nymphs are shaped like the adults, but are yellow-white in colour. The eggs are white, about 1 mm long (1/25 inch), and are almost impossible to see on most surfaces. The female bedbug lays at least 200 eggs in her lifetime, at a rate of about 2 to 4 per day. The eggs have a sticky coating and are placed in cracks and crevices, behind woodwork and any other hiding place they can find. They usually hatch in 6 to 17 days. Newly hatched nymphs feed as soon as food is available. A bedbug goes through five moults (shedding its skin) before it reaches full maturity. Adults usually live for around 10 months, but can live for a year or more and can breed year round in a home where the environment is good for reproduction (like temperatures between 21° and 28°C). Bedbugs can live from several weeks up to roughly a year and a half without feeding. Early detection of a bedbug infestation is very important. The larger the infestation, the more difficult getting rid of the bedbugs will be. 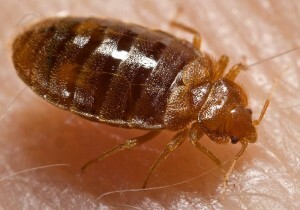 Because bedbugs travel easily, you may also have to treat nearby rooms. Remove or reduce any clutter where bedbugs can hide. Bedbugs may fall off infested items when moved. Securely seal items in an enclosed bag, plastic wrap or plastic container to prevent them from spreading to non-infested areas of the building. fact: although they may be difficult to find because they hide well, bed bugs are big enough to be seen with the naked eye. bed bugs look similar to an apple seed in size and appearance. fact: bed bugs can be found in hotels, motels, dormitories, apartments, condos, private homes, and even in some public places, such as stores and offices. anyone can get bed bugs. fact: bed bugs do not jump. They spend a majority of their time hiding and are usually active at night bed bugs generally avoid light and do not like to be disturbed. fact: There is no evidence that shows bed bugs transmit disease. bed bug bites, however, can cause allergic reaction in some people similar to a mosquito bite. Frequent scratching of the bite marks or picking the scabs can cause infections. and people with severe and/or repeated infestations can feel anxious, worried or ashamed. fact: Pesticide application alone will not kill bed bugs at all stages. Successful treatment depends on an integrated Pest management approach to bed bug control which involves, vacuuming, and steaming, washing belongings and sealing areas and gaps where bed bugs can hide. consult a Pest management Professional before using over the counter pest control products or home remedies. Bed Bugs can be difficult to eliminate and control requires a high level of professional training. 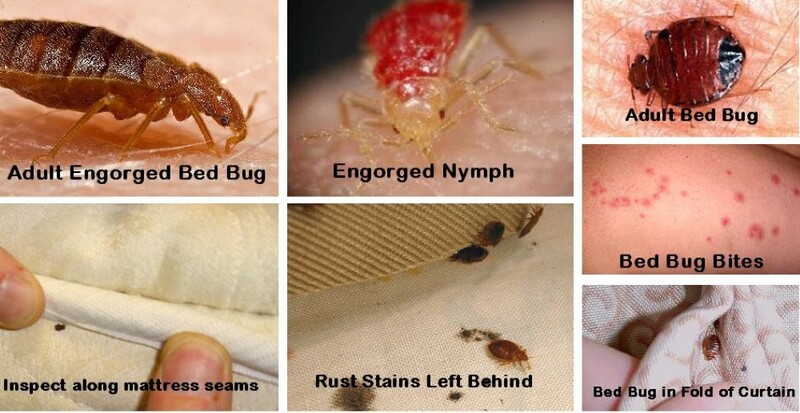 If you think you have Bed Bugs, talk to the professionals at Muskoka Pest Control.